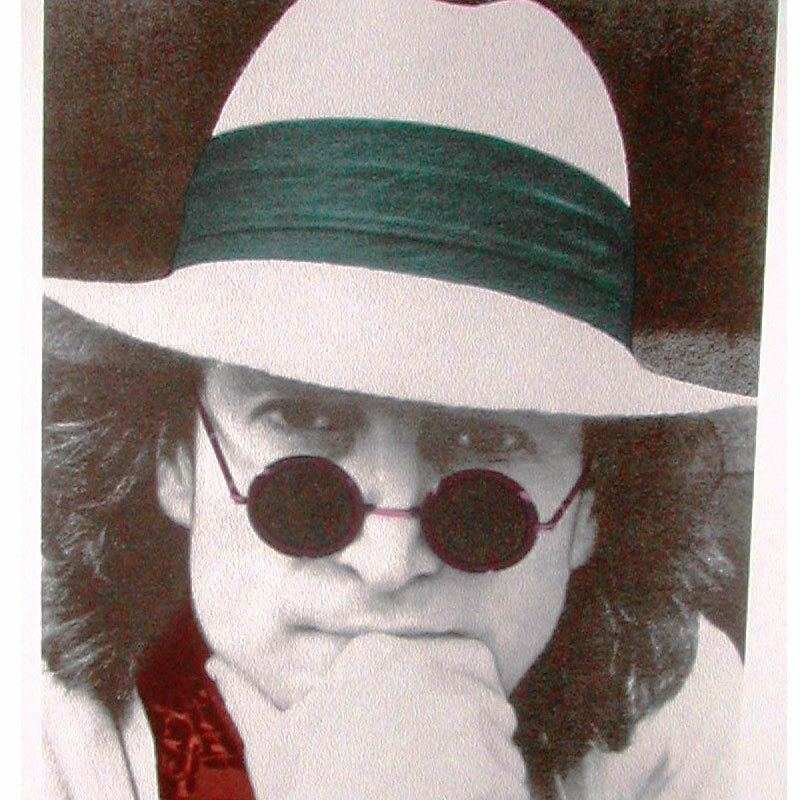 Photographer Nishi Saimara took this photo of John Lennon during a visit to Japan in 1977. Nishi was John and Yoko’s personal assistant and photographer from 1976 until 1979. The Nishi photographic portrait suite is available in four different color combinations red blue green and orange. Published by Bag One Arts in 1999.